29 Jul Has BuzzFeed Ruined Blogging? 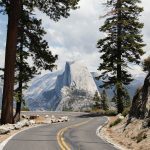 Every other article I publish is a list of things to do or places to visit, arranged neatly into sections and subsections, all straightforwardness and soundbites. I’ve always maintained that what makes blogs appealing are the people behind them. But when I look at my recent posts – and those of most other successful bloggers, many of whom are my friends and talented writers – I feel underwhelmed. Instead of unique stories I see the same attention-grabbing headlines you might see on millions of other mainstream websites. A million individuals merging into a grey stream of sameness. Don’t shoot the messenger, but BuzzFeed is slowly killing blogging. Its listicles are tightening their grip around our creativity and reducing it to a raspy echo of its full voice. Is it fair to put all the blame on BuzzFeed? Of course not. It’s not like BuzzFeed created lists. But it has popularised the form so effectively that it now features on homepages of everyone from the Huffington Post to… well, bloggers like me. 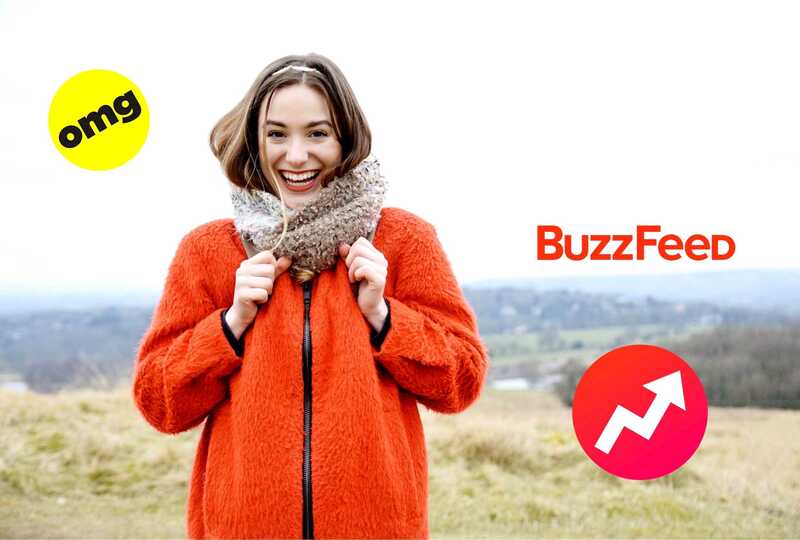 In short, with more than 200 million monthly visitors BuzzFeed is a convenient scapegoat. I’m actually a big BuzzFeed fan and often turn to it when I’m bored or just want a quick undemanding read. Because that’s what listicles are. Undemanding. All the content is conveniently chopped into tiny pieces your brain can swallow whole, like a family-sized bag of chips you mindlessly devour while watching Netflix. And therein lies my issue with listicles. We live in a world where information is always just one click away. Anyone with access to the Internet – from heads of state to slum dwellers, like the ones I visited in Manila last year – has the possibility to get a world-class education, free of charge. Wikipedia is the Aristotle of the 21st century. With all that information at our fingertips, you’d think we’d be the most insightful, introspective and intimidatingly intelligent generation to grace this planet. But no. We sit around staring at those same devices that promise enlightenment and use them to watch cat videos while worrying about the number of likes on our latest Instagram picture. Spoiler alert: of course not. After all, how could a literary form be inherently bad? Yes, it’s possible to do listicles well and use the form as a carrier for really great content. One example of this is Wait But Why – a hilarious website which uses stick figures to talk about life. At the onset of one of his posts, the blog’s author Tim Urban addresses this topic. “So we know a lot of people hate listicles and associate them with cheap, low-quality, traffic-driving, link-bait articles,” he writes. Lists can be good or bad, and they have been a feature of human culture for centuries. Philosopher Umberto Eco goes as far as calling the list the origin of culture. And that’s exactly what we’re doing, in our own special way. We’re trying to sort through the insane amount of information at our fingertips in the easiest way possible, and lists are the obvious solution. Why Is Everyone Using Listicles? I would love to give you a long-winded pseudo-philosophical answer, but the reasoning is actually very simple. Listicles are popular and easy to write. Why spend days crafting a masterpiece when you can put together a listicle in a few hours? A listicle which, generally speaking, will attract more readers than the aforementioned masterpiece! I’ll be honest – I write listicles to increase traffic. Blogging is my full-time job and my income partly depends on how many readers I have. Creatively pushing the envelope is scary no matter what, but when factors like money (and being able to pay your rent) get involved it becomes absolutely terrifying. Yes, it’s terrifying. But you know what? I don’t really care anymore. I don’t want Girl vs Globe to be just another outlet churning out posts that contribute nothing new to the reader. No, I’m not going to denounce listicles and stop writing them once and for all. There is a time and a place for them, even here. They’re a great way to share travel advice, the best places to eat or fun content like “100 Productive Things To Do in PJs” or “99 Things To Do Instead of Growing Up“. But I am going to cut back, a lot. Instead of just contributing to all the noise, I’m going to get a lot more creative. What does that mean? Simply put it means new ideas, fun concepts and lots of creative photoshoots. The photoshoots mainly relate to food and fashion – something I’ve been dying to do for years. As you might already know, I started my first blog Sabina Supernova when I was 14 as a diary of all my outfits. I eventually quit because I found it too shallow… but that’s just the way teenage me did it. There are many ways to cover fashion without being vapid and that’s exactly what I’m going to do! I will also cover more subjects that require me to really think and really write. Remember the time I travelled around the world, reporting on development projects funded by the EU? Or my first-hand account of a traditional Moroccan hammam? Those are the posts I’m most proud of… and I want to be able to take pride in my work. I want to show people my blog and feel confident, instead of half-apologising and saying things like “I’ve been so busy lately, my posts aren’t what they used to be”. In short, I’m going to make Girl vs Globe feel more like me again and I’m sure you’ll find the process as liberating as I do. Thank you for joining me on this crazy journey and changing my life in the process! tl;dr: I’m going to write fewer listicles and focus on creatively covering the things that matter to me – travel, fashion and food. I’ll start publishing a weekly recipe and outfit post, plus an article about travel, blogging or lifestyle. Yes, that means lots more content! Yay! PS: In case you’ve missed it, I’ve also started a new multi-author website, Girls vs Globe. We only launched on May 25 and already have 49 contributors! Check it out and don’t forget to join our amazing Facebook group. PPS: For an additional layer of irony I’ve included lots of gifs (all from wifflegif) in this post, BuzzFeed style. No I don’t think it has, think about it, if you follow a blogger, such as “GirlvsGlobe”, you do so for the writer. You read there blogs because you want to know what they think about the subject. You form a relationship with that person that makes you feel connect to them that you want to listen but you trust them. There are millions of those listicle type things on Twitter, do I even click on the links, of course not. If I want to know about the top 10 cow breeds in the world, I just google it and read the first link, when it comes to things like travel is very subjective. Why would I want to read through a mindless list of the top 10 best holiday destination compiled by some crappy statistics company based on information that has zero relationship to what I like about them? I want to read the thoughts of that blogger than although not know in person you have built that trust with that you want to hear what they personally have to say about the place. I am a huge 49ers (NFL) fan and there are literally a million listicles you can go to, do I, no, I follow two bloggers whose written opinion I have come to trust and value on my team! So do I think listicles are killing blogging, no, only if the bloggers start to think they have to loose their own identity but that’s not a choice of us following. Same! Blogging remains a creative business and we must treasure that! Way too many blogs that only write lists. Interesting thoughts! I believe this generation is still coping with the overwhelming amount of potential information and learning that we have access too. Maybe cat videos are a way to take a break from the info overload. Anyway, we still have a lot of figuring to do. It would be a shame for the potential of the internet to be wasted into a culture that stresses stupid graphics and cheap fast reads versus more involved thought-provoking content. The thing Buzzfeed feeds on that has leaked from it to the blogging world is the click bait titles. Sure, they were around before and sure, they will be around way longer than Buzzfeed, but blogs take so much inspiration from it now… It is ridiculous. 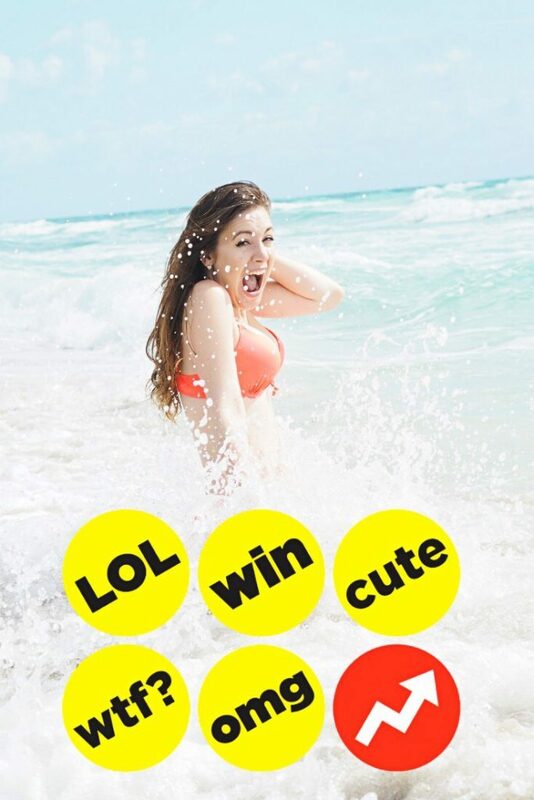 When I first stumbled upon Buzzfeed, I was astounded. What is this website that spouts one-liners interspersed with headache-inducing gifs? Then I learned about the concept of listicles and click-bait headlines before deciding to ignore them. 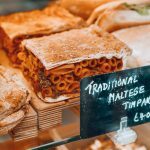 I write myself and I tend to make sure that whatever listicles I come out with involving food and travel, I back it up with engaging and useful content. Every blogger has their own style but that doesn’t mean we have go the Buzzfeed route. Just keep doing what you’re doing best! That is why I only write personal articles nowadays, unless I really feel like my listicles will add some information and inspiration to the internet. You can’t possibly be original anymore writing about ‘the 10 best places for ..’. However, they work, and that is why a lot of bloggers write these articles. They get a lot of shares because they are easy to process in the mind and because people can easily read them and agree or disagree with them because they offer general information. Personal articles aren’t like that for the bigger audience. However, I love writing and writing isn’t the same in listicles. 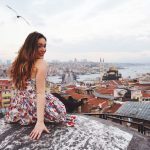 Feel free to check out my blog to see what I mean and how I deal with this change in the blogging atmosphere: thetouristoflife.com. This is a fabulous article and I 100% agree. Writing listicles really has improved my traffic, but I actually don’t enjoy writing them and often, that article type doesn’t provide enough information to be my one and only research stop before a trip.